A defensive sounding Malcolm Turnbull says the government has to treat Labor’s lies like “whack-a-mole”. “We have to keep rebutting them with facts,” he insists. But as the Liberal Party struggles to recover from miserable byelection results, Turnbull and his MPs know it’s them who keep being badly whacked. Despite the government’s early confidence it had a good chance of winning the Queensland seat of Longman and the Tasmanian seat of Braddon, voters did not buy the Turnbull message. What it can do to alter this dismal trajectory is less obvious – particularly when it will embolden the Turnbull critics within the Coalition. And in crucial Queensland, the rebuff was particularly significant. It meant a 10 per cent swing in the primary vote against the LNP candidate – Trevor what’s-his-name and never-to-be – who ended up with a disastrous 28 per cent after the leakage to One Nation. Nor could One Nation preferences save him, given so many ended up directed to Labor instead. Turnbull argues this is a conventional, average swing against a government in a byelection in Longman and no real swing in Braddon so “there is not a lot to celebrate for the Labor Party and certainly nothing to crow about”. Try persuading Bill Shorten of that. 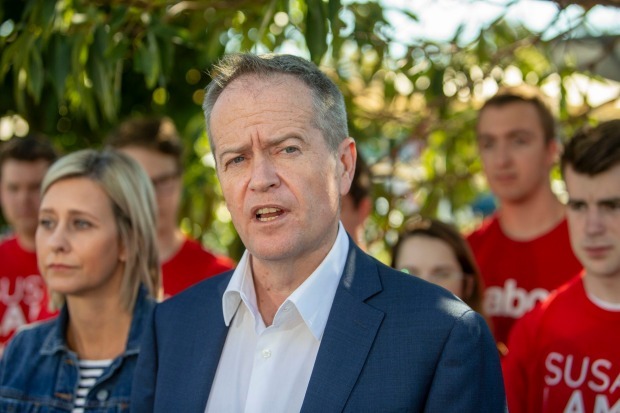 The byelection wins instantly douse internal party doubts about Shorten’s personal popularity and policy direction as well as the obvious interest by some, including Anthony Albanese, in promoting Albo as a better, safer alternative. Instead, Shorten is happily announcing himself “confirmed” in his approach to “fight for fairness and challenge growing inequality”. The real message? Fugeddaboutit Albo. Shorten’s sign-off to the government is just as blunt. This result, he says, is another signpost in the direction the country is heading – a Labor government after the next election. And especially when it was the Prime Minister who emphasised the byelections were the chance for the electorate to pronounce judgment on leadership and on the certainty of higher taxes under Shorten, it’s too little, too late now to suggest the result is just another typical byelection swing. Despite claiming the swing in Longman was expected, the frustration of Turnbull and his ministers is obvious. 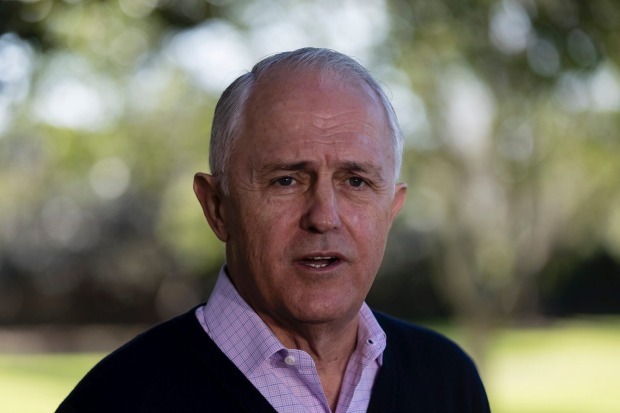 “It shows the combination of Labor cynicism, dishonesty and the enormous financial resources they get from the unions to push those lies out,” the Prime Minister says. There’s no doubt a last Labor surge of big spending and hard campaigning in the last week crushed the Turnbull government’s hopes of pulling off an upset win and its belief its agenda was slowly but steadily becoming more persuasive to voters. According to the government, the deck is stacked against it due to the changes in media coverage that don’t punish Labor’s willingness to tell “outrageous lies”. Of course, that also indicates the Turnbull government can’t sell a positive story well enough. “I’m telling the truth,” the Prime Minister says plaintively.” I think it is very important for everybody to ask this question – how important is it that politicians tell the truth? I think it’s enormously important. Bill Shorten has been lying and lying and lying. Yet Shorten has always proven adept at making an obvious emotive response to tap voter discontent with all the major parties, including Labor. Life could be, should be better, will be for most people than it is, he insists. The problem is really that Malcolm Turnbull is just “out of touch”. Such claims may be simplistic nonsense but they lead directly to the themes successfully sold to the public on Saturday and which Labor will continually recycle for next year’s election. According to the Shorten playbook, only a Labor government will respond to real people’s daily concerns about “good quality healthcare, good quality education, good quality jobs”. How to generate the revenue to pay for this is supposedly simple. No more corporate tax cuts. These have become Labor’s magic pudding for voters. It all translates into the electoral spin that no pain need be inflicted on “ordinary” Australians except on “big business and the top end of town” – particularly the banks. This ignores the reality it is state governments that primarily fund and manage both public hospitals and public schools and that their efficiency and effectiveness in doing that is so problematic. It’s still the federal government that copped the blame in Longman for voter complaints about inadequate healthcare or education. This will inevitably put pressure on the Turnbull government to resile from taking its corporate tax policy to the election should it, as now seems certain, fail to get the full package passed in the Senate. Not only is the time frame for this spread out over a decade when the electoral finishing line is less than a year away. It also gives Labor a large and easy target to “whack” repeatedly. Turnbull insists he remains committed to a “competitive” company tax rate and a strong economy producing investment and jobs in record numbers. But that leaves a big political black hole facing the big companies assuming the Senate resistance remains. It also leaves Bill Shorten sitting on top of the pile.